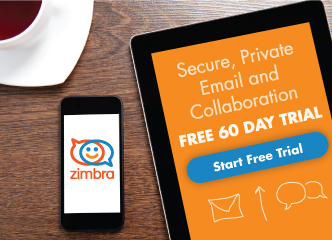 Welcome to Zimbra Open Source!! If you run into issues or have questions please feel free to ask in our developer forums. At this time, inside Zimbra, we build on RedHat Enterprise Linux 4 and Fedora Core 3. If you want to build on other distributions, please be aware that our build does use pre-compiled (by us) versions postfix, openldap, etc. – on other distributions, you might run into shared library version problems with these binaries. In the near future, resources permitting and with help from the community, we would like to make our builds as friendly across as many distributions as possible. – Java Development Kit (version 1.5.0_04 is recommended) from http://java.sun.com/. The bin directory containing the javac, java, jar, etc. commands must be in your PATH. – Apache Ant (minimum version 1.6.2) from http://ant.apache.org. Make sure the ant command is in your PATH. – Install gcc and its friends. You will need this if you are rebuilding any of our pre-compiled binaries. – Install rpm-build. This is required for building a binary release with RPMs. – Install ‘which’ – this package is not present in a minimal operating system install. If you got the source, and want to hack on it, you’re probably more interested in the rest of this document – how to do a developer friendly install with incremental builds. including removing /etc/sudoers entries with your login name. We also recommend that you remove any postfix, sendmail, openldap, mysql RPMs that might have come with your distribution installation – or tailor your PATH such that you do not use those programs against data generated by the versions inside ZCS. Building (b) developer install requires the following steps. In a binary install, these steps are performed by scripts inside the RPMs. In a developer install we like to make these steps explicit so you are aware what exact changes are made to your development machine – which is important if said machine is also your desktop! – Make yourself a fresh zimbra directory (substitute ‘john’ with your login name). You need to run these commands as root. – Unpack the source tgz file. Note that ‘$’ to indicate you run these as yourself. – Go into the build directory, and make the dev-install target so your /opt/zimbra directory is populated with the software for the first time. You need to do this step whenever you blow away your /opt/zimbra directory. No trailing slash, please. This is because tomcat does not bind to port 80 in the developer install. Build creates the account ‘user1’ with password ‘test123’; you should be able to login to with this pair. (http://www.eclipse.org/). You can import these directories as projects inside Eclipse. You will have to change the Eclipse Java/Compiler/Compliance settings source and target versions to 1.4 – the default settings error on references assert(), a 1.4 feature. You can then perform the ant tasks ‘reset-the-world’, ‘service-deploy’ and ‘deploy’, by visiting the respective build.xml files from inside Eclipse. It is a much better choice in that case.